Expensive cabling is a thing of the past. S.L.I.M. uses economical Cat5 cabling to control each camera. Better yet, ditch the cable altogether and control your cameras via Wi-Fi. Either way, it's a most affordable multi-camera solution. JVC's latest IP communications engine gives you versatility not found in conventional studio set-ups. Cameras can be placed at various locations in and around your facility--even around the world. You'll have full control. 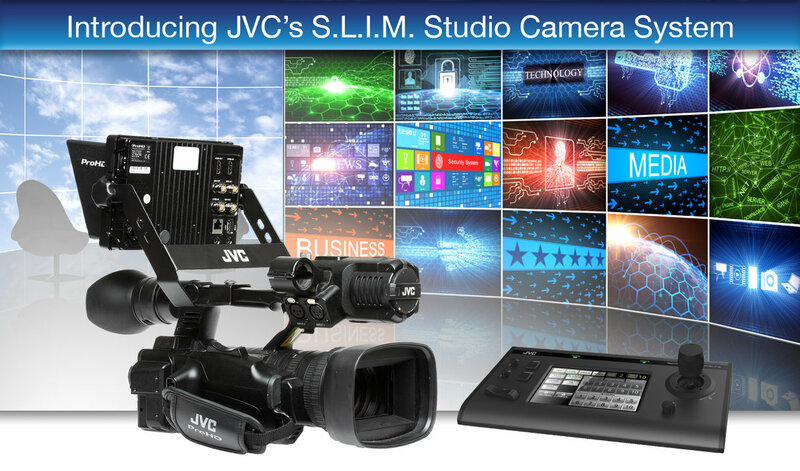 No other system incorporates a line-up of studio camcorder configurations providing the depth and diversity to meet the needs of professional applications, from Education and House of Worship to Corporate, Industrial and Broadcast, as JVC's S.L.I.M! email communications from JVC or one of our valued partners.